At 420m above sea-level, set high above the picturesque Elgin Valley Andrew Gunn founded Iona. It is here overlooking the Atlantic ocean that he has secured some of the coolest vineyards in the Cape. In a country where cool climate vineyards are like gold dust, these vineyards are veritable nuggets. There is an extremely long growing season, allowing Andrew to create wines with complex flavours and a fresh, elegant style. The approach is hands off and the land is farmed according to organic and biodynamic practices with a particular focus on ensuring the health of the soils whilst pests are kept under control by the resident flock of geese that roam the vineyards. 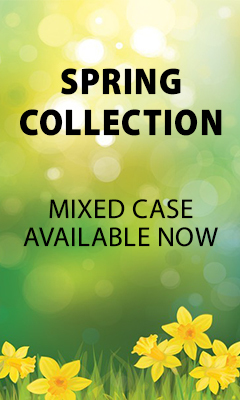 Each soil type and aspect of the Sauvignon blanc vineyards are matched with different clone to ensure we capture the endless flavours of the variety in the vineyards. These are retained in the cellar, with each block being vinified separately. The harvest of the Sauvignon blanc stretched from middle March to early April which provides a perfect long ripening period to develop the intense concentrated flavours. An important component is the addition of a little Semillon which enhances the mid- palate weight and complexity of the wine. Stirring of the lees brings that unmistakable Iona texture. Hand harvested then a temperature controlled fermentation at 12-14°C, followed by 6 months aging on the lees. 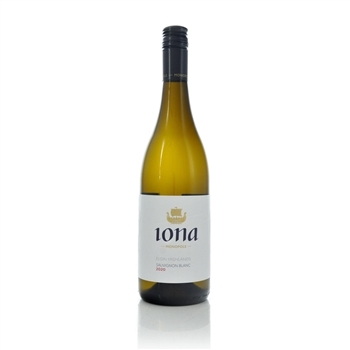 Fragrance of pure white grapefruit, intense tropical fruit, ripe gooseberry and fleshy kiwi fruit over-lay Iona’s distinctive herbal and floral undertone. The palate is keenly balanced showing cut green apples and lime marmalade followed by great minerality and length. Fresh asparagus, chicken and seafood dishes but is also enjoyable by itself.